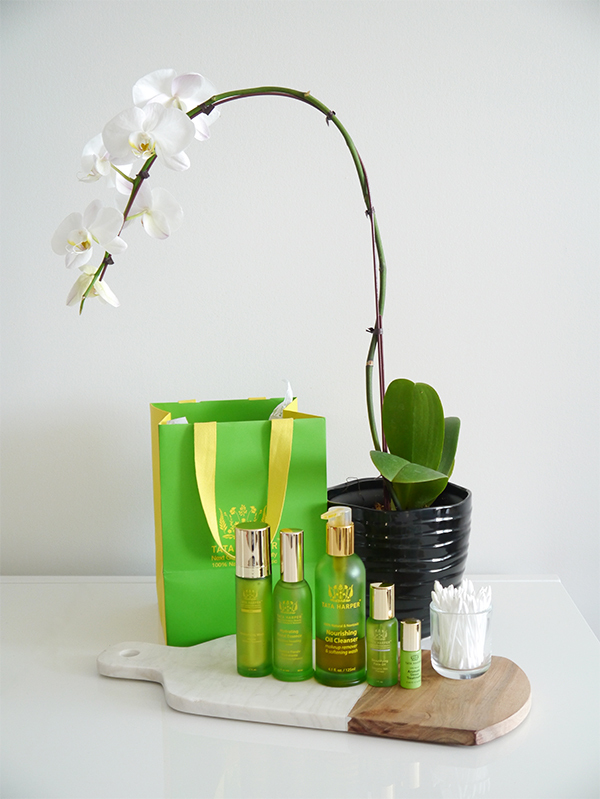 I've long been a fan of Tata Harper's effective, all-natural products and Kathryn Sawers's work at Collective Skincare, so when I was invited to try out Collective's new Tata Harper Total Complexion Reset Treatment a couple weeks ago it felt like kismet. Launching in June, this facial is a 100% natural multi-acid peel that promises no pain, no redness, and no downtime—just an insane glow and visible improvements in skin's overall brightness, tone, and texture. So did this treatment deliver on all of its dramatic claims? What did it feel like? And how did my skin react afterward? All the details after the jump! Justin Trudeau is the Internet's boyfriend, the country is celebrating a big birthday this year (150 years! ), and some of our most celebrated books are now the basis of buzzworthy TV shows. 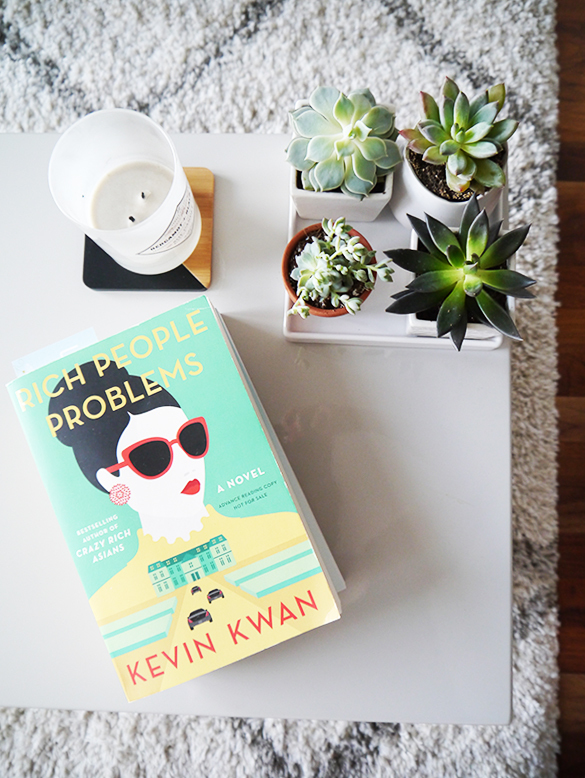 Canada is definitely having a moment in pop culture right now and there's no better time to dip into some classic Canadian literature. 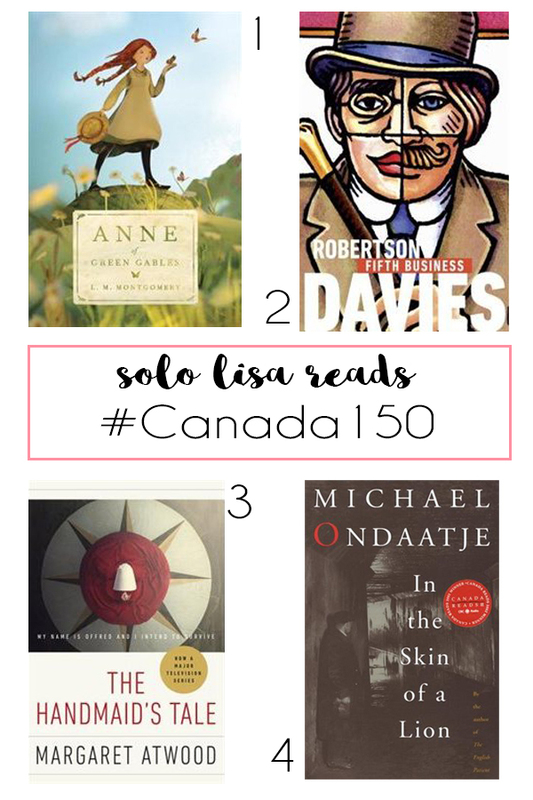 I've rounded up some of my favourites here if you want to #ReadtheNorth and don't know where to start! I loved planning our wedding, but did I love every step of the process? Not really, and ours was relatively small and simple (park ceremony, restaurant reception, 60-70 guests). I can't even imagine how overwhelming it must be to put together an event from scratch on a much bigger scale, or how daunting of a process wedding planning can be if you feel as though you're the only bride-to-be who's lacking the organization gene! 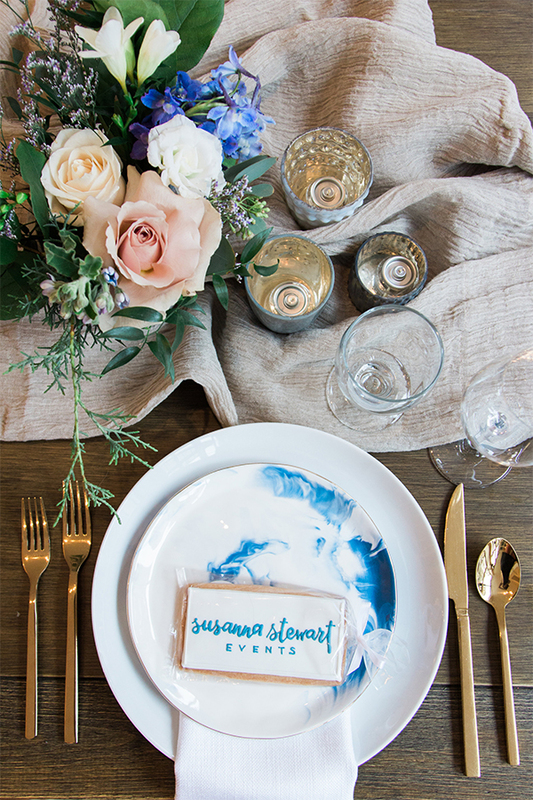 Luckily, professional planners like Susanna Stewart Events are here to save the day. I caught up with Susanna recently and asked about her passion for event and wedding planning, as well as tips for brides-to-be on how to choose and work with a planner and how to de-stress before the big day. More after the jump! I'm pretty knowledgeable about beauty and grooming products intended for women, but when it comes to the guys sometimes I'm clueless. In fact, until Harry's reached out to me to see if my husband would be interested in trying their razors and men's grooming products, I didn't even realize how expensive a single razor cartridge could be. 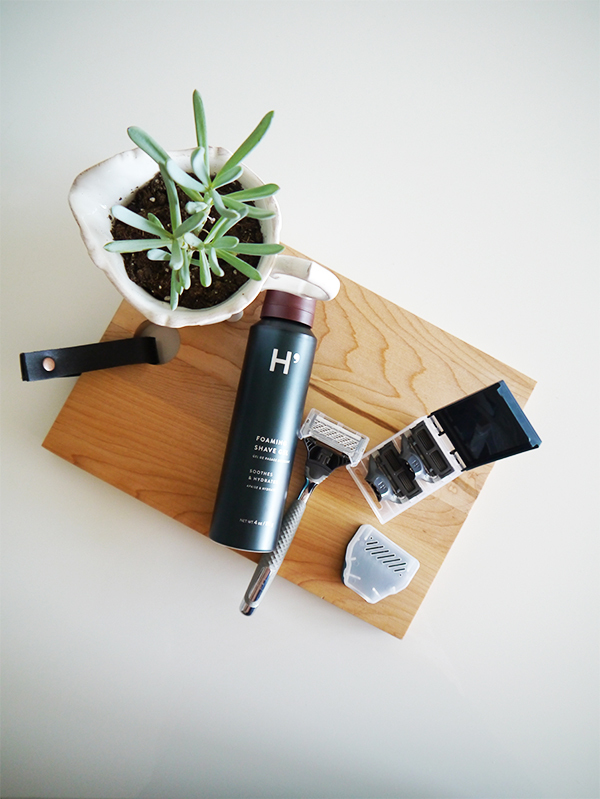 Luckily for the fellas, online shaving subscription services like Harry's are changing the game. If you're a guy who's looking for a close shave at a better price or you're looking for a Father's Day gift idea, you're going to want to bookmark this review! As longtime readers know, I've been trying to green up my routine, whether it's my beauty regimen, household cleaning, or switching to natural deodorant. What I didn't realize was that the super-effective deodorizing spray I was currently using to freshen up coats, sweaters, and scarves between dry-cleanings was already the greener, gentler alternative. 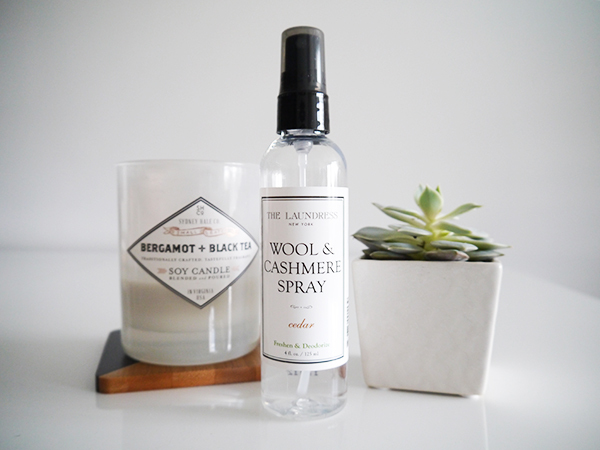 Yes, I'm talking about The Laundress Wool & Cashmere Spray. 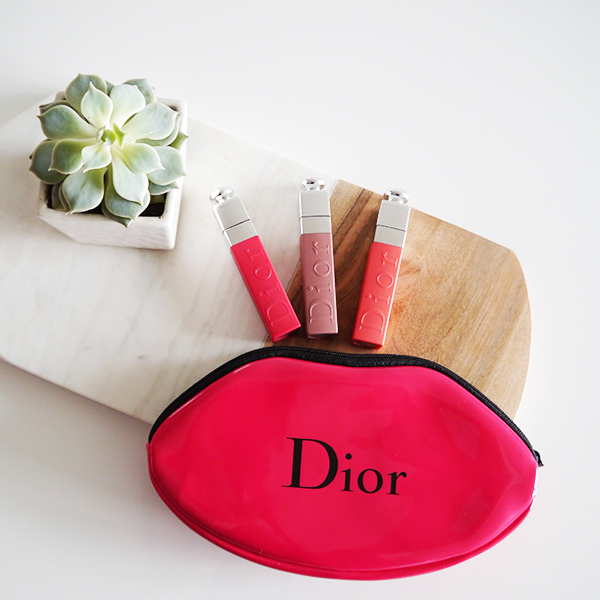 It's easy to become addicted to Dior when they keep knocking it out of the park with their beauty launches. The latest review samples to cross my beauty blogging desk? Three shades of the new Dior Addict Lip Tattoo ($36), a pigmented lip colour that feels like barely anything on the lips and promises up to 10 hours of continuous wear. All the details after the jump! Plants have made a huge comeback in the world of home decor, and there are plenty of good reasons why. They add soothing greenery and texture to interior spaces, they clean the air, and they're more budget-friendly than weekly trips to the florist for fresh-cut blooms. But which plants should you get? How do you care for them? And if you're a gardening newbie, how do you stop yourself from killing them? I'm still figuring out the answers to all of these questions myself, but as someone who's just jumped on the plant bandwagon recently, I'm sharing what I've learned so far after the jump! I test and feature a lot of beauty products, but in real life I use up more samples than I have time to write about in great depth. 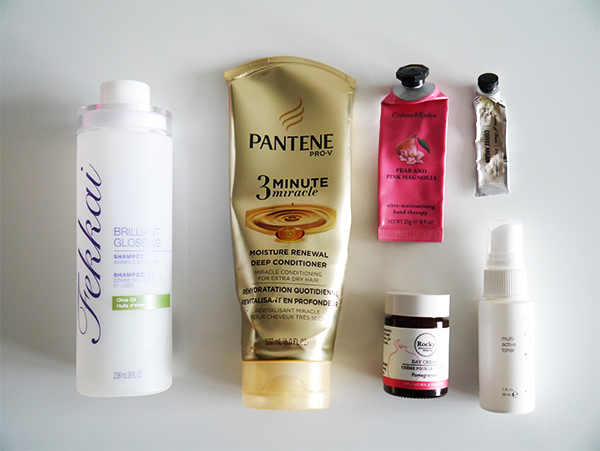 For a while I did quick reviews of empties on Instagram. That quickly fell by the wayside, so I'm going to take a page out of other beauty bloggers' books and start doing empties round-ups here. 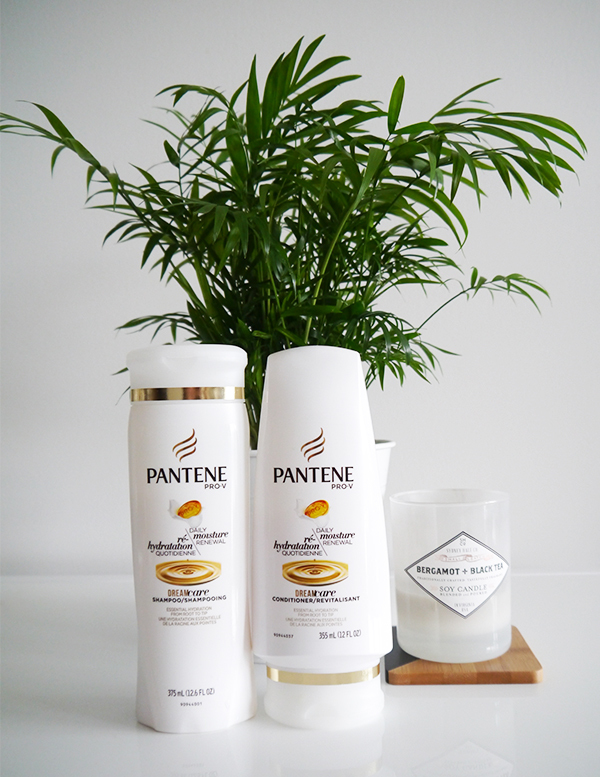 Before I started transitioning into green beauty, my standby for shampoo and conditioner was always Pantene. I knew that if the bottle said "Pantene" and had any combination of the words "moisture," "anti-frizz," or "smoothing" on it, I was guaranteed shiny, soft, healthy-looking locks. Such was the case with the newly reformulated Pantene Daily Moisture Renewal Shampoo & Conditioner ($6.49 on sale for $5.99 at London Drugs), which I received for review and couldn't resist taking for a spin. As of June I'll have been going to Bar Method for 2.5 years, and although I'm not the gym selfie type, I do enjoy reflecting on my fitness journey and documenting my progress on the blog. It still boggles my mind that when I started, I was so out of shape I couldn't hold a plank during the warm-up portion of class and I had to mentally pep-talk myself into completing 3 reps at a time during leg work; now I can do push-ups on my toes and the instructors are calling me out to go lower in leg work! I posted progress updates a couple months into doing Bar Method regularly and a year in, and I'm happy to report that I'm still seeing physical, emotional, and mental changes, which is pretty amazing. Here's where I'm at right now. Every once in a while, I get the urge to embark on a home decor project that costs relatively little in time (1-2 weekends), effort (no messes or massive renovations), and money (a couple hundred bucks max). 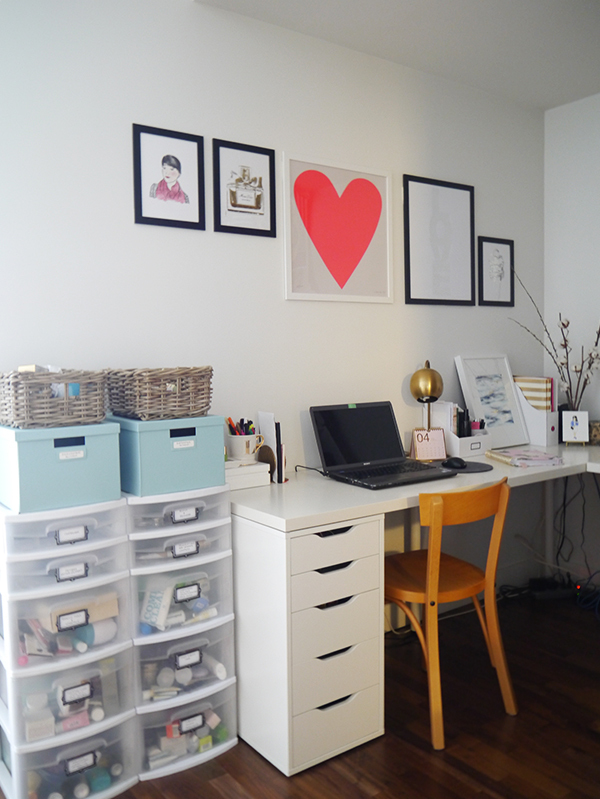 This season, the home decor project was my beauty blogging home office, where the former status quo was beginning to get on my nerves.